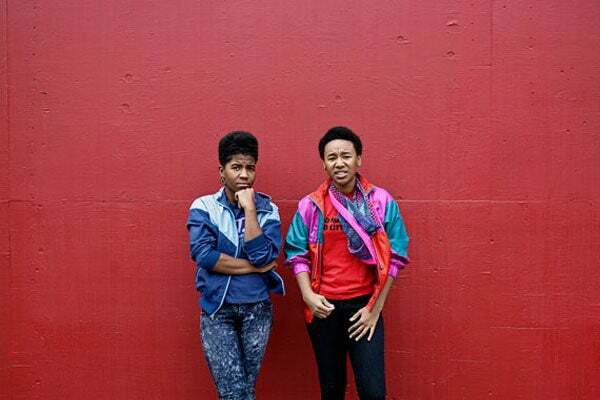 This Is Our Jam: THEESatisfaction, "Do You Have Time"
There’s a moment on Shabazz Palaces’ “Swerve... The Reeping of All that is Worthwhile (Noir Not Withstanding),” when two new voices slither onto the track with a mysterious Afro-futurist bravado. “Boogie-woogie let your body feel free” one sings, and amazingly (for this writer at least), that’s exactly what happens. The guest turn, by THEESatisfaction, helped solidify one of the best hip-hop records of last year, and now the duo, made up of Stasia Irons and Catherine Harris-White, is releasing a new record of their own on Sub Pop. “Do You Have Time” is a lithe stoner jam where smoking a blunt becomes almost transcendental. The woozy vibe recalls vintage Erykah Badu and Lauryn Hill, and shows off the strengths of both Stas and Cat as artists that can turn lines like ”We toke toke like it ain’t no joke” and weave them into a dreamcatcher of social consciousness and dystopic weirdness. While the track won’t be featured on their upcoming awE naturalE LP (a shame considering what an ear-worm it is), "Do You Have Time" shows the duo to be just as inventive when the spotlight is all theirs. Grab the track from the widget-thing below.